Can your hear them? Last night I thought I heard, way off in the distance, the sound of sleigh bells. It might be my imagination, but I'm almost positive I heard them. Maybe I'm just getting too wrapped up in this "holiday" thing. Or, maybe it's just the sound of electric meters spinning all over town. I love Christmastime. It's an interesting time for a guy who spends a large part of his life observing the people around him. For example, harried folks bustling around in the strip malls and shopping centers trying to find just the right present will still take the time to say "thank you" when you hold the door for them. Of course, those same people will dash out to their cars, take off - dialing their cell phones - and become that wild-eyed character from the Goofy cartoon they show at traffic school. I love the holiday parties, like the one we attended in our neighborhood last weekend after the cookie exchange. Our neighbor's home was so beautifully decorated inside that it could, and should, have been a feature piece in a magazine. We shared good food, good friends and the real holiday spirit. Do you like the picture at the top of this column? It's a small piece of our neighbor's Christmas Tree, which she only decorates every other year. 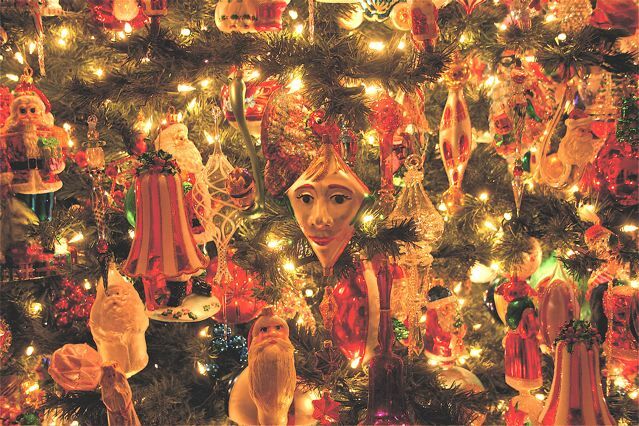 This baby is ten feet tall, has something like 3600 light bulbs and more than 1,000 ornaments on it! It must be plugged into two separate electrical circuits or it will blow the panel! Her whole house is decorated for the season and is wonderful to behold. It takes her two weeks to decorate the tree and another two weeks to put it all away... but it's worth it. I love the holiday cards that have been flowing into our mail box for the past several weeks, building to a crescendo this week. I love seeing photos of old friends and their growing families that sometimes accompany their cards. I love receiving family Christmas letters - yes, I do! I read every word on every one and am grateful that our friends want us to know about every nuance of their lives. I like knowing that, even if it's only when they put a mailing label on an envelope and apply the postage stamp, our friends think about us at this time of the year. I love giving gifts, and especially this time of the year. I love the process of trying to find just the right gift and watching the reaction when it's opened. I love the looks of surprise and curiosity when the recipient tries to figure out what the heck would posses someone to buy "this"! I love what this season does to my sweet and patient wife, with whom I will celebrate the 40th anniversary of our very first date on New Year's Eve. I love how she prepares for the house full of folks who will share this holiday with us. I love the care with which she decorates our home, trying to get it to look "just right". I love how she is unfazed by the fact that, if it drizzles on the day of our celebration making our back yard unusable, we'll have standing room only in the house, with people juggling brunch plates and drinks while playing musical chairs for the few seats available. I love the curious paradox of Christmas in southern California, where we sit, wearing Reyn-Spooner shirts, walking shorts and sandals, and open cards depicting snowy scenes, with horse-drawn sleighs and people bundled up against the cold. I love the fact that we can sit on the beach, soaking up the sun, and turn around to see snow on the local mountains. I love the fact that, this time of the year, kids can surf in the morning and snowboard in the afternoon. The Costa Mesa City Council gave itself, and us, a nice Christmas present - they took the rest of the month off. Their absence gives me an opportunity to thank all of you who read this blog for your continuing interest and comments. Some of you don't agree with some of the things I write here, but that's OK. You don't necessarily have to agree with me, although I prefer that you did. To those of you who like what you read here, I'm happy to provide a little joy - and information - in your lives. I'm grateful to those of you who care enough to occasionally write a comment. I'm even grateful to those of you who slide right up to the edge of bad taste, but stop short of that line. Of course, there have been a few who just blasted right past that line and found their comments rejected. That's OK, too... it's my blog, so we'll follow my rules. On this first day of winter, I want to wish each of you and your loved ones the happiest of holidays. I hope Santa fills your every wish. So, until the urge moves me to post another entry, MERRY CHRISTMAS AND A HAPPY NEW YEAR from A Bubbling Cauldron. May this holiday season find you surrounded by those you love, with joy in your heart. Well, I see our old buddy, Your Neighbor, is going to make it easy for the new majority. In his most recent post he sets out the curriculum for his "students" - the study guide he expects them to follow - or else. Or else they might suffer the fate of Chris Steel and not be re-elected. In his manifesto, which he cobbled together from previous rants, The Headmaster lists eight items that he expects the council to address, and pronto. Otherwise, he'll give them a sharp swat across the knuckles with his ruler, or worse. 1 - 55 Freeway - He wants a tunnel so all that nasty beach traffic driving through "downtown" won't see the light of day until they pop out at the Newport Beach border. Funny, I'd have thought he might want to try to find a way to attract the drivers of those 100,000+ cars each day into Triangle Square and other businesses in downtown instead of hiding opportunities for commerce from potential customers. Nah, that makes too much sense. 2 - John Wayne Airport - Now he wants an alternative for John Wayne Airport! Sorry, pal, that flight has already departed. We basically told Newport Beach "You're on your own" when they wanted an airport at El Toro - the logical place. I agree that Costa Mesa is going to suffer greatly as John Wayne continues to grow - and it will. 3 - Ocean - He wants it! No, not all of it, just a little dribble to call his own so his "vision" of Costa Mesa becoming a "coastal city" can come true. I suppose he would be happy if the Santa Ana River is dredged out just a little so a bait barge could float adjacent to Costa Mesa. 4 - Pollution/Bluffs - He keeps on banging that "pollution" drum, even though the South Coast AQMD ran test on the Westside at his demand and found it clean. This, and his plan to scrape the industrial uses from the bluffs, is just another scheme to attack the immigrants among us. 5 - Slums - Another part of that plan is to "thin out" the apartments. He means plow the earth they stand on and, bingo!, all those undesirable low wage earners who live there will disappear. Read that "immigrants". 6 - Sports Fields - Ah, yes, he wants more "neighborhood" sports fields, yet kind of rejects eminent domain as an option. He suggests the city use our tax dollars to pay residential real estate prices for playing fields. I'm wondering how one would convince folks in a residential neighborhood to sell their homes to make parks. Sure smells like eminent domain to me. 7 - Newport Beach - He says we should develop a better working relationship with Newport Beach. Well, duh! It's his chosen ones who have fought against that, virtually spitting in Newport's eye at every turn. How, exactly, would he rehabilitate that relationship - come bearing gifts (like the Santa Ana Country Club, for instance)? 8 - Non-Profits - Putting this one last was pretty slick. While on the 3R Committee he manipulated the method of funding non-profits and it caused such a ruckus that he quit (or was fired). He says he wants to "reform the way tax money is doled out to non-profits so that any hint of racial or ethnic discrimination is removed." That's "improver speak" for quit giving money to anybody and, if by chance, we happen to hit a charity that supports immigrants among us, so much the better. What a transparent, heartless buffoon! I expect to see the new majority jump to his commands and move briskly to accomplish his goals. Don't get too comfortable in your warm little homes, my friends. Soon you may see bull dozers in your neighborhood, plowing down your home and those of your neighbors to make room for a playing field or two. 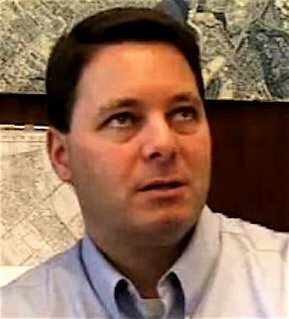 Lest there be any doubt about who thinks he is providing direction for the new city council majority, one need only read the most recent offering on the blog published by a guy who very much resembles my theoretical character, Your Neighbor. He closes his pathetic little tome with a reminder to the new majority on the council that they'd better follow his lead, or else. He reminds them of "a former City Council member" - a not-too-veiled reference to the chronically inept Chris Steel - a man Your Neighbor took credit for getting elected in 2000, then got him "un-elected" in 2004 when Steel turned his back on him after he realized just what an insidious force he was in our city. It looks like Your Neighbor feels it necessary to remind his little flock that he's in charge - the guy with all the ideas and strategy - so they'd better toe his line if they don't want to end up like Steel. I would never defend Steel's performance as a councilman. He was hapless and incompetent, but benign. This new crew, though, is far from benign. With an unbreakable majority, they will just continue to inflict damage on our city with no way to stop them. So, as we move into 2007, I find myself wondering how those 10,122 voters who elected Mansoor feel about having a neo-Nazi calling the shots in our city. Will they just sit quietly back while he provides the song book for the new majority as they go about expunging the Latinos from within our borders? Will they cheer these moves or cringe when they realize what they have done to this city with their votes? The 49+% of us who didn't vote for Mansoor and Leece are already seeing our fears coming to pass as the ruling troika has begun formulating plans to institutionalize the quashing of debate of important issues when they come before the city council. If they are successful, no longer will our young jailer/mayor be obliged to go through the formality of hearing divergent viewpoints on issues when he already has his mind made up - he will simply cut off the debate whenever he darn well pleases and call for a vote. Meanwhile, Your Neighbor stands on the podium, baton in hand, ready to lead his little band of "music makers" in the destruction of our city - a city already reeling from the reputation Mansoor and his crew have inflicted on it as a bastion of intolerance. A few weeks ago Los Angeles Times sports columnist Bill Plaschke wrote a very moving account of the friendship between former USC basketball player Jim Sterkel and a man who celebrated their friendship by anonymously donating $5 million to the university with the proviso that the new basketball court would be called "Jim Sterkel Court" in perpetuity. Sterkel passed away several years ago following a career which included what might be called journeyman duty as a basketballer for the Trojans and a brief stint in the NBA. He went on to raise a wonderful family - including Olympic swimmer Jill Sterkel - and led an exemplary life. I was so moved by Plaschke's story that I wrote to him to thank him for it because it reminded me of the value of true friendship. It also reminded me of my best friend, Larry Moore, who passed away three years ago, on December 19, 2003. Some of you might recall the story of my friend - he died after spending six weeks in the Trauma Intensive Care Unit in a hospital in Las Vegas following a motorcycle accident on a lonely desert road. Only the fortuitous arrival of lost foreign tourists kept him from dying on the spot. Those strangers in a strange land alerted a nearby railroad work crew, who had the wisdom and training to call the Life Flight helicopter to take him to the hospital in Las Vegas. Through his long ordeal in the hospital I was at his side. I held his power of attorney for health care, so worked with the staff making decisions to, hopefully, bring him back. Over that time he repeatedly rallied, then retreated and finally reached the point in his recovery where we began making plans for rehabilitation back in California. Sadly, before we could make that move a blood clot finally took him from us for good. Over those many weeks in Las Vegas I sat at his bedside and recalled our lives together. We had been best friends since we were five years old. He was two weeks older than me, so we celebrated our birthdays together every year that we could throughout our lifetimes. We were closer than most brothers. My wife and I are godparents to his youngest daughter. As teenagers Larry and I dated many of the same girls and I would sit in his room for hours as he composed songs about some of them. He recorded a few songs back in the 1960s and performed as an opening act on local television for a couple of young guys you may have heard of who were just launching their careers at that time - The Righteous Brothers. 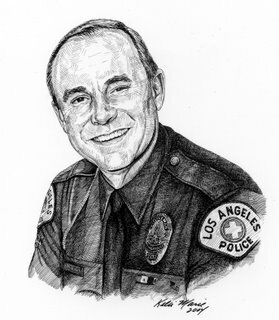 Larry had a long and illustrious career with the Los Angeles Police Department. Most of the first half was spent, ironically, as a motorcycle officer. For the last half of that 31 year career he was the Athletic Director at the Police Academy, near Dodger Stadium. In that role he created and managed programs designed to keep the officers fit and ready for duty. He coached and participated on their water polo and swim teams for many years and played on their football team. He was on the Board of Directors of the California Police Athletic Foundation, which conducts what is now known as the Western States Police and Fire Games and also the World Police and Fire Games - second in size only to the Olympic Games as a gathering of international athletes. He created an event he originally called the Toughest Cop Alive competition. Today, in a bow to political correctness, it is called the Toughest Competitor Alive. It is a one-day event in which competitors run, jump, swim, climb, lift weights and run an obstacle course in a pure test of speed, agility and endurance. 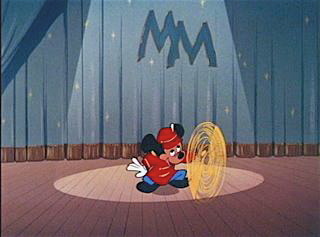 This event is part of the national and international competitions mentioned above. One of his crowning achievements was, with his partner, Chuck Foote, the creation of the Baker to Vegas Challenge Cup Relay - the premier event of it's kind in the world. Annually, thousands of public safety officers participate in the event - a challenge of speed and endurance. His passing preceded the 20th anniversary of the event at which an award for the most dedicated volunteer was named for him. 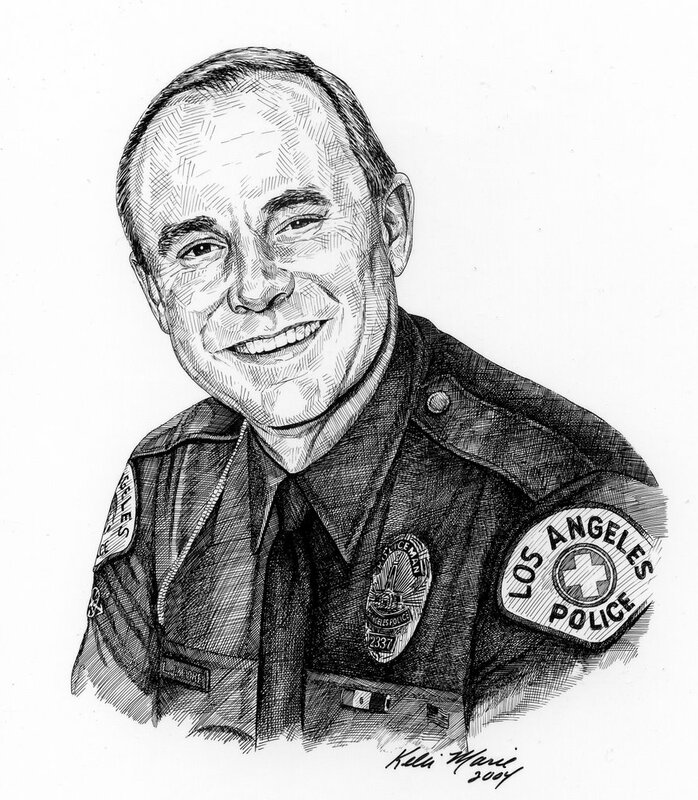 Larry affected many lives as he traveled the world representing the LAPD. During my vigil at his bedside I sent nightly email reports of his progress to a few friends who, as many will do, forwarded them on to others. Eventually hundreds of his friends and associates read those messages each day. Following his passing I heard from an associate of Larry's from Belgium who had been monitoring his condition through my emails while on a trip to Antarctica. When Larry retired I attended his celebration and watched man after man stand and announce that Larry had been their best friend and share stories of their affection for him. Such was his capacity for love that many people in his life considered him their best friend. On an overcast day at the end of 2003 I sat in a church packed to overflowing near where we grew up and heard him eulogized. The hundreds of friends, co-workers and family members heard his eldest daughter, who followed him into the Los Angeles Police Department, talk in loving terms about her father. Chuck Foote spoke of the man who was his partner for two decades with humor and love. I was asked to compress more than a half century of our lives together into a five minute speech - I failed. It's not possible to do a short-hand version of the life of such an outstanding man, so I didn't. The crowd understood. We adjourned to the cemetery where an honor guard attended him. We heard Taps played as he was laid to rest at a site adjacent to his parents, in the shade of a lovely tree. I remember that day, and the outpouring of respect and affection for him, as though it was yesterday. I write this message today to help you remember the value of true friendship. Larry and I were best friends for 57 years and, three years after his passing, there is not a day that I don't think about him and our years together - and miss him. We all lead busy lives, especially this time of the year. I encourage each of you to pause for a moment and think of those friends who mean so much to you. Take a moment to pick up the telephone and call to tell them how you feel. Don't reserve your expressions of friendship and love for that once-a-year holiday card. Tell those you love how you feel. Do it now. It will be the best Christmas present they could possibly receive. More Mellow Mayor? Not Likely! Our young jailer/mayor has his mug all over the Daily Pilot again today. In a piece by Alicia Robinson he is quoted as saying he doesn't plan to go further with his ill-advised ICE proposal since that agency has placed an agent in the Costa Mesa jail. He didn't say he would rescind the motion made a year ago that started this whole mess, though. I agree with an accompanying editorial in the Daily Pilot expressing the need for our city leaders to divulge the number of alien criminals identified by the ICE agent, and their disposition. One way or the other, this is still a very tender issue throughout the community and the public deserves to be informed. According to the article, Mansoor apparently isn't in a very conciliatory mood when it comes to the minority on the City Council. And, he dismisses criticism that he is "unfriendly" to the city's Latino community and blames ill feelings on those who fought his immigration plan - like me, I guess. It doesn't surprise me that Mansoor doesn't plan to establish a better working relationship with the minority on the council now. I watched him at the last council meeting and at the recent study session during which the City Manager proposed some techniques to re-establish harmony on the dais. Mansoor isn't buying it. Now that he has an unshakable majority again, he doesn't have to worry about harmony. He's going to do what he wants, period! I know some of you who read this blog disagree with my assessment. That's fine. Let's just wait a little while and see who ends up being right. Honestly, I hope you are, because if Mansoor continues on the trail he's been following for the past couple years it doesn't bode well for the city. I hope he has a change of heart and decides to include the minority views expressed by other council members during the deliberations of important issues. However, since he was looking for ways to institutionalize the quashing of debate during the last study session, I don't think it's likely that he will change for the better. Quite the contrary, I think he will become even more tyrannical. By the way, still no comment from our young jailer/mayor regarding the arrest of 20 people at seventeen locations in Costa Mesa during the sweep of alleged white supremacists throughout Orange County. Curious silence from a guy who says he's a real crime fighter. How do we explain this silence? I'll leave it to you to contemplate. Well, that should put you in the old Christmas spirit. Sorry about that, but that's the way it looks from my little perch these days.